Costello Builders is a custom home builder in Lancaster, Pennsylvania that is committed to providing personalized service through the entire custom home building process. 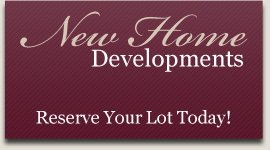 We have completed many new home projects and developments from Lititz PA to Harrisburg PA. We have lots available in our new home developments or we will gladly build a quality custom home on your lot. At Costello Builders our we believe that we’re building more than just a house for you: we’re building your family’s new home, inside and out that you will fill with lasting memories. If you’re looking for a custom home builder with a personal touch and attention to detail, you’ve come to the right place. Each Costello Builders client and custom home project are treated with the care they deserve. 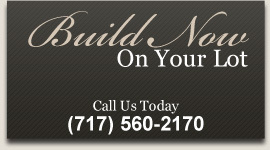 Quality Custom Homes means standing by your product and that is exactly what we do. Our quality custom homes model begins with high-quality materials and construction, coupled with superior craftsmanship, and the results speak for themselves with every quality custom home. We’re dedicated to utilizing the finest materials, the most talented employees, and the absolute best in custom home design so that your quality custom home is exactly what you dreamed.